It's no secret that sleep is important. Sleep is not only essential for brain functioning, but is a critical factor in overall health. If you aren't getting enough sleep each night, you are at an increased risk of developing a range of serious health complications. If you find that you're not waking up rested each morning, it's likely that you mattress is to blame. You wake up feeling tired or in pain. You would prefer to sleep on your couch. You can feel lumps and coils in your mattress at night. You toss and turn throughout the night. Sealy Mattresses Are Now Available at Seven Seas Pools and Spas! Lucky for you, Seven Seas Pools and Spas is now selling Sealy and Tempur-pedic mattresses! Visit one of our showrooms to test all of them and find the one that fits your sleep style the best. Sure, you could always buy a new mattress online, but why take the risk of making a major and important purchase online, when you can experience the comfort first hand in-store? If you’re not already familiar with the quality and support that Sealy’s mattresses are known for, take a look below at all the different styles and benefits that come along with owning one of these expertly designed mattresses. 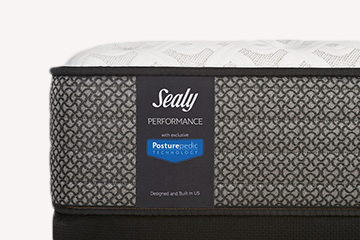 Sealy’s Posturepedic Technology is a mattress support system is designed under the guidance of orthopedic experts in order to provide targeted support to a sleepers most intense pressure points. For most sleepers, these pressure points occur in their middle section, which supports 50% of their body weight during the night. Posturepedic Technology was developed to provide targeted support to the sleeper’s torso and spine. The Response Line Essential Collection features Sealy’s standard coil technology, a soft and stretchy mattress cover, Sealy’s patented airflow foam cushioning, and Sealy’s specially engineered responsive coil system. 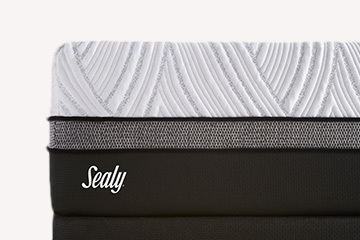 Sealy’s Conform Line combine memory foam and advanced gel foam to provide a body-hugging nights sleep. These mattresses provide all over support that conforms to the natural curve of your spine. 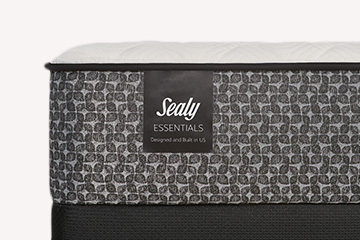 This Sealy line is the right choice for sleepers who are seeking the softest nights sleep. The Conform Line of mattresses is offered across three different collections, the Essential Collection, the Performance Collection, and the Premium Collection. The Conform Line Essential Collection provides standard Sealy support, a extra stretchy and soft mattress cover, a combination of gel memory foam and a firmer type of foam/gel hybrid material that adds extra support. 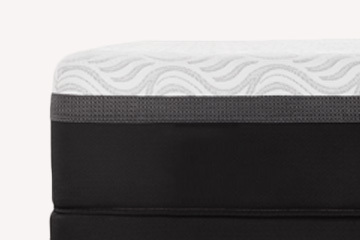 The Conform Line Performance Collection includes Sealy’s Posturepedic Technology, a moisture whisking mattress cover, and an added cooling gel memory foam. 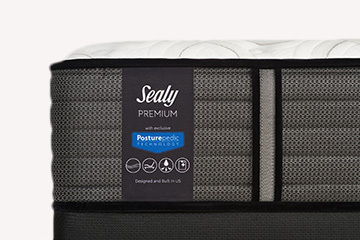 Lastly, the Conform Line Premium Collection includes Sealy’s Posturepedic Technology, a cooling mattress cover alongside the cooling gel memory foam padding. 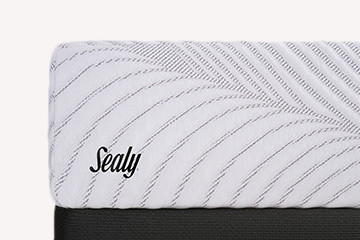 Sealy’s Hybrid Line of mattresses provide a combination of the features included in the Response and Conform Lines. These hybrid mattresses utilize both innersprings and memory foam to offer the best of both worlds. Sleepers who want the support of a coil system, yet the softness of memory foam will find this mattress line to be the most ideal for them. The Hybrid Line is available across three different collections: the Essential Collection, the Performance Collection, and the Premium Collection. 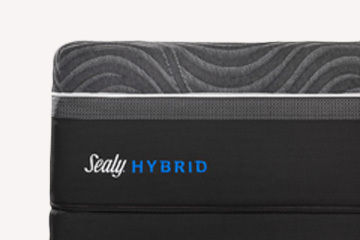 The Hybrid Line Essential Collection features a stretchy, moisture wicking mattress cover, Sealy’s standard spring coil system and responsive encased coil system, and Sealy’s special combination of comfort enhancing memory foam and gel foam. 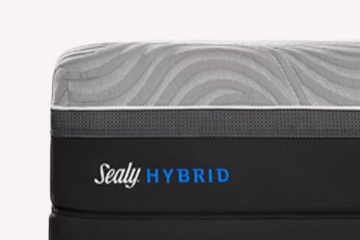 The Hybrid Line Performance Collection includes Sealy’s Posturepedic Technology, a high-quality, super stretchy, moisture whisking mattress cover, Sealy’s advanced cooling memory foam, and an enhanced version of Sealy’s responsive encased coil system. 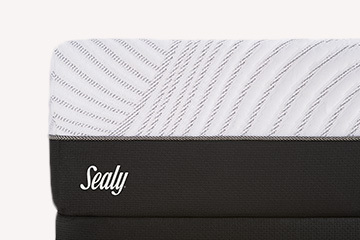 Lasty, Sealy’s Hybrid Line Premium collection features the Posturepedic Technology, a cooling and anti-allergen mattress cover, advanced cooling memory foam, and the enhanced version of Sealy’s responsive encased coils. 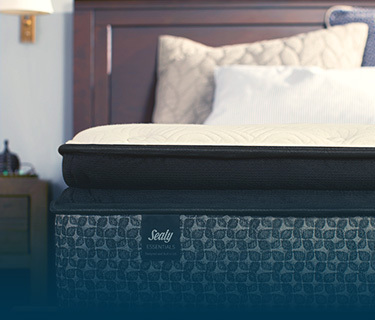 Visit a Seven Seas Pools and Spas Location to Test Your New Sealy Mattress Today! While it may be tempting to order your new mattress online due to convenience, you can never be sure of the comfort you will be receiving unless you personally test it out. Stop in to any of our Seven Seas Pools and Spas locations to experience your future night’s sleep today. If you love the feel of our supportive and comfort filled mattresses, you can purchase your new Sealy Mattress directly from us in stores!